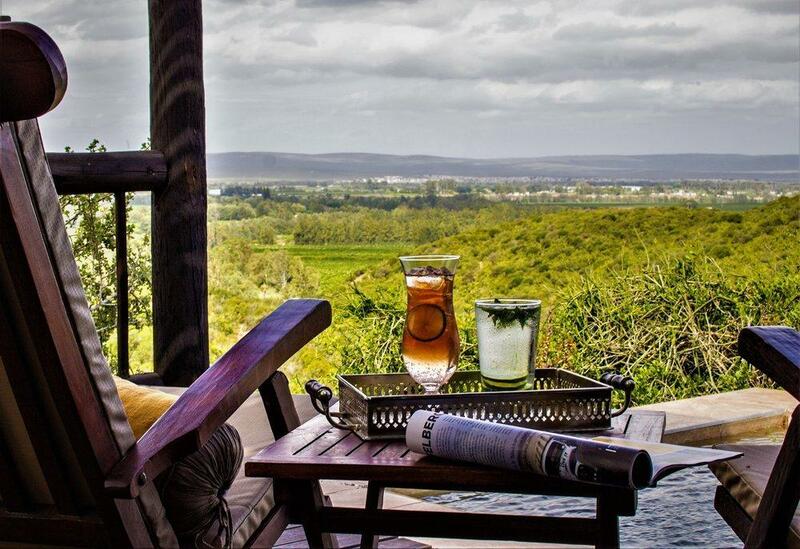 ﻿ Hitgeheim Country Lodge and Eco Reserve Kirkwood. JIMAT di Agoda.com! Ada soalan mengenai Hitgeheim Country Lodge and Eco Reserve? Ketika melawat Addo, anda akan merasa seperti di rumah di Hitgeheim Country Lodge and Eco Reserve, yang menawarkan penginapan berkualiti dan perkhidmatan hebat. Terletak hanya 50.6 Km dari pusat bandar, para tetamu berada di lokasi sesuai untuk menikmati tarikan dan aktiviti di sekitar bandar. Untuk pilihan bersiar-siar dan tempat daya tarikan tempatan, pelancong tidak perlu pergi jauh dari hotel kerana semuanya berdekatan dengan Addo Wildlife Sanctuary, Taman Organik Rosedale. Kemudahan dan perkhidmatan yang disediakan oleh Hitgeheim Country Lodge and Eco Reserve memastikan penginapan yang menyenangkan bagi para tetamu. Untuk keselesaan dan kemudahan tetamu, hotel ini menawarkan Wi-Fi percuma semua bilik, pendiang api, pengemasan harian, daftar masuk/daftar keluar ekspres, simpanan bagasi. Hotel-hotel telah direka demi keselesaan dan memudahkan tetamu. Sebahagian bilik menyediakan karpet, linen, cermin, pintu masuk peribadi, tuala. Hotel ini menyediakan kemudahan rekreasi yang baik seperti denai kembara, kolam renang terbuka, taman untuk membuat penginapan anda benar-benar tidak dapat dilupakan. Temui gabungan yang menarik antara perkhidmatan profesional dan pelbagai kemudahan yang ada di Hitgeheim Country Lodge and Eco Reserve. The Lodge is quite nice and the staff is friendly and professional. Owner is always around to help. 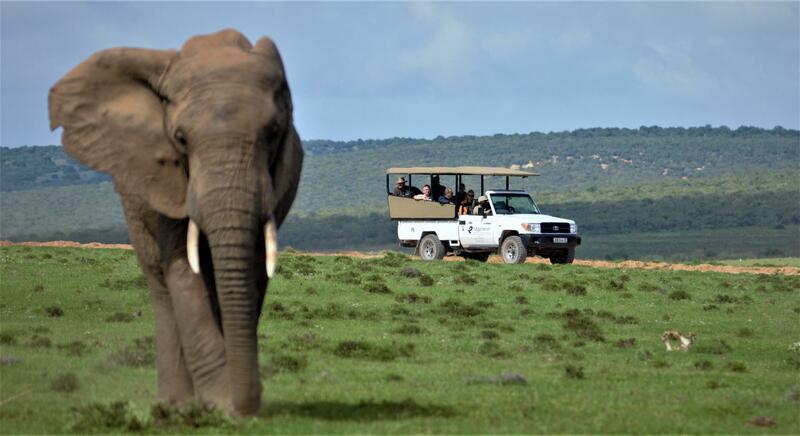 They offer a good game drive for Addo but please note that you will need 30 min to Addo and that the view from the hillside is on fruit farms and a some villages. Thank you Wolfgang for your positive review and feedback! Everything was amazing from the beginning, you are so warmly welcomed by staff and glorious views. The little things are done here, there are only a handful of lodges so it feels like you get 100% attention from the staff. My girlfriend is a vegan and the chef (who was crazy is a great way) come out of her way to speak to her and let her know her thoughts for her menu selection and had a few options for her. Her food was so good even I loved it and I'm a proper meat head. I went down to the wine cellar to pick my own wine, which was great. We originally thought this price was quite high (as we also book all the extra safaris and 4 course dinner) but it was by far the best value for money. This lodge is an outstanding property. The owner Archie runs a well maintained property with excellent rooms and service on a high level. Highly recommend this property. Some of the minor improvement potentials are: Internet is slow at times, Safaris are priced rather on the high side (However, they are excellent!). Pricing in the lodge is otherwise ok, dinner and drinks are priced fine, kids menu (pasta or pizza) maybe a bit high with 50 percent of adult prices. Staff goes above and beyond to deliver great service. At the end of our stay we had a small incident (someone of our group forgot something in the lodge) - Archie personally solved the problem. Overall superb lodge! Always happy to hear that our guests had a wonderful experience at Hitgeheim! Thank you for your great feedback Markus and we hope to welcome you back soon. Excellent stay. Lovely place. Very helpful staff. Thank you Suzanne! Always great to receive such positive feedback from our guests! If you wish style and great location go to Hitgeheim. Thank you David for your wonderful feedback and we are pleased to hear that you enjoyed your time with us. Look forward to welcoming you back at Hitgeheim! I really enjoyed my stay at the lodge. The manager very kindly made another room available at no extra cost. The staff were very attentive and were always very helpful. The rooms were great and the view from the lodge was spectacular. The food in the restaurant was also very tasty and reasonably priced. There was also plenty of activities on offer to fill in the time during your stay. You could do as little or as much as you liked. I would have no hesitation in recommending this lodge to any of my friends. Thank you for your wonderful and positive feedback Anthony. 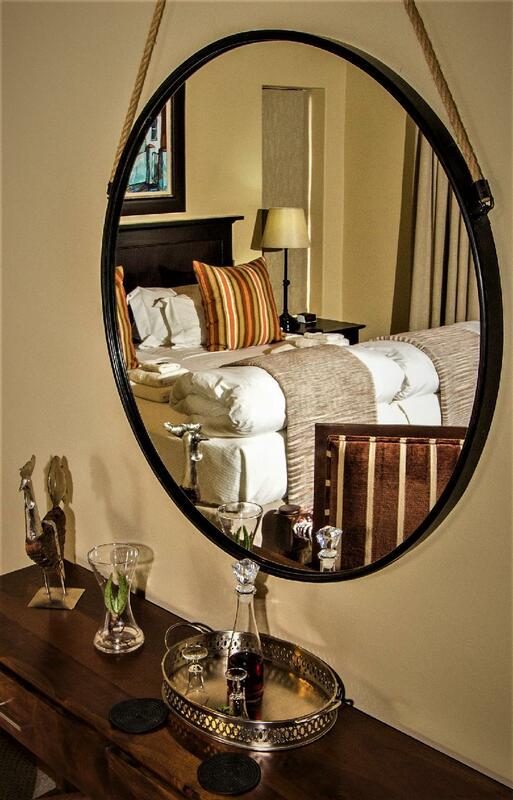 Hitgeheim always gives 110% so that our guests truly experience South African hospitality at its best. We do hope to welcome you back on your next visit to South Africa. Staff friendly. Rooms spacious and clean. Bedding crisp and fresh.. Luxurious Bathroom. Unexpected and Beautiful surroundings. Staff here was really nice and friendly and service was exceptional. We got traditional African dinner one night and was very interesting and tasty. View is amazing and very quiet and peaceful. Not sure about value for money though. We saw many nice places with less price. Only one negative thing was that they don't have net over the bed. There are mosquitoes and this is eco house so they are coming inside all night. There was an insect repellent spray in the room but I got my face bitten a lot. Thank you Yuka We greatly appreciate your positive feedback and we are sorry to hear about your experience with the mosquitoes. We do however hope that you enjoyed your stay and experience in general and that you will keep us in mind with your next visit to South Africa. We arrived in the late afternoon, spent the whole day in Addo Elephant park and left the next morning. So we had only little time to enjoy the splendid view and the really nice rooms. Each room has its own balcony with a beautiful view into the valley. Rooms are very spacious with a really large bathroom and in-and outdoor shower. Thank you Matthias. Your review of HItgeheim is much appreciated. We hope that you will plan a longer stay on your next visit that you can fully experience and relax at Hitgeheim. Von einer 5 Sterne Unterkunft bei diesem Preis erwarte ich ein deutlich ansprechenderendes Zimmer, Balkonmöbel, Restaurant. Zusätzlich haben wir ein BBQ gebucht - leider waren die Beilagen kalt und der Nachtisch kaum auf dem Teller zu finden - ebenfalls viel zu überteuert!! Preis- Leistung stimmt hier überhaupt nicht!! Da die Lodge sehr abgelegen liegt gibt es keine Restaurants die man nutzen kann. Bedankt Anja! Het is altijd prachtig om zulke positieve feedback van onze gasten te horen en dat ze zo'n onvergetelijke ervaring bij Hitgeheim hebben meegemaakt. We hopen je snel weer te verwelkomen!